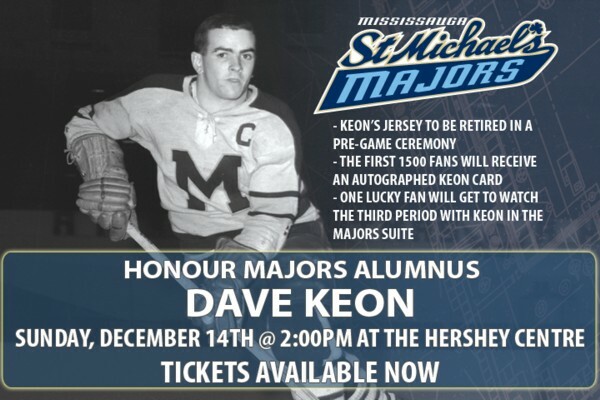 Dave Keon will be in attendance this Sunday December 14, 2008 at the Hershey Centre in Mississauga where we (St. Mike’s Majors) will retire his #9 jersey. Check our website at www.stmichaelsmajors.com for more. It's meant as a celebration of the Toronto Maple Leafs, but in its execution, the process of selecting the top 100 players in franchise history became a damning indictment of the franchise. Among the top 10 in the rankings, only two of them launched their careers as recently as the 1970s. You have to go all the way down to No. 12 to find a current Leaf, captain Mats Sundin. While it pains author Mike Leonetti, the man behind Maple Leafs Top 100: Toronto's Greatest Players of All Time, he recognizes the glare of the obvious. 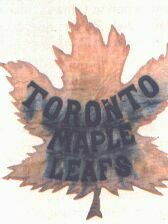 "If you look at the history of the Maple Leafs, you can clearly and easily divide it into two halves," Leonetti said. "The first 40 years were excellent - 11 Stanley Cups, 19 appearances in the final. That's almost one Stanley Cup final appearance every other year. "The next 40 years, there have been no appearances in the Cup final and with the exception of perhaps five or 10 years, it's been pretty much a disaster." Leonetti, who handled the writing of the 100 biographies of the legendary Leafs along with longtime Leafs beat writer John Iaboni, put together an expert panel of 12 veteran Leafs watchers to determine the list, utilizing Leafs followers from the newspaper (Lance Hornby, Frank Orr, Milt Dunnell), radio (Howard Berger, Doug Farraway) and television (Joe Bowen, Paul Hendrick, Mark Askin, Frank Selke, Harry Neale, Paul Patskou, Bill Watters) business and admits he was a little bit surprised at the player who topped the list, former Leafs captain Dave Keon. Almost exactly 50 years to the day that Dave Keon first entered the hallways of St. Michael’s College School as a teenager, the Hockey Hall of Fame legend is still revered by many as the greatest player ever to wear a Toronto Maple Leafs uniform. Keon, now 66, addressed a small gathering of students, teachers and researchers at a hockey history lecture on Monday evening as part of the school’s centennial celebrations, which will continue throughout the fall and winter. When reflecting on his three full seasons at St. Michael’s, Keon had nothing but praise for his former coach and fellow Hall of Fame legend, the late Father David Bauer. “He was a great help and influence, who taught me how to play without the puck.” Bauer’s teachings were instrumental in Keon’s elevation as one of the greatest two-way players ever to play the game. The 5-foot-9 centre from Noranda, Quebec compiled a scant 117 penalty minutes in 1,286 career NHL games, winning a pair of Lady Byng Trophies along the way. The strong work ethic that Keon employed throughout 18 seasons in the NHL and four seasons in the World Hockey Association is exemplified in his perpetual desire for self-improvement. “In any sport you have to have energy to practice, play and travel,” he advised. “I enjoyed practicing and playing, and always tried to improve how I played. I put it as a challenge to myself.” Keon was very quick to name both the player who most impressed him, and also his toughest opposing goalie. “Bobby Orr was the best player to ever play the game, and he did it on one good leg. He changed the game of hockey. Glenn Hall gave me a great deal of trouble in net,” he remembered. The opportunity to represent Canada on the international stage is a conspicuous absence from Keon’s distinguished career. “Bobby Bauer (brother of David, and coach of Canada’s 1960 team) said he wanted me for the Olympics, so I played one game for the Kitchener-Waterloo Flying Dutchmen,” he recalled. After it was arranged that Keon would join the rest of the team in Squaw Valley, California, he was informed ten days later that he wouldn’t be going. “I never really knew why, but Bobby Rosseau went instead of me.” Keon couldn’t resist a dig at being snubbed in favour of the Canadiens right-winger who would succeed him as Calder Trophy winner the following year. “I guess that’s why we lost!” Canada’s subsequent 2-1 loss to the United States in round-robin play proved to be the difference between the gold and silver medal. Twelve years later, Keon was not offered an invitation to Team Canada's training camp for the 1972 Summit Series. The slide to which Keon referred accelerated with Harold Ballard’s acquisition of full ownership of the team. The Leafs would miss the playoffs in three of the six years following the ’67 Stanley Cup. Ballard feuded with Keon – now the team’s captain – leading to a bitter and acrimonious parting of the ways in 1975 as Keon signed with the Minnesota Fighting Saints of the WHA. Keon would end up with the WHA’s New England Whalers, staying with the team throughout its merge into the NHL and finally retiring at the end of the 1981-82 season, the year which saw the emergence of a young rookie named Ron Francis. More than 30 years after he last played for the Leafs, the bitterness from his departure from the team still lingers. As former Hockey Night In Canada broadcaster Brian McFarlane reminded Keon of his legendary stature within Toronto, the ex-captain remained firm in his resolve to not mend fences with the organization, displaying the same tenacity from the lecture hall podium as he did on the ice. “It makes me uncomfortable,” said Keon when recounting the occasions he has attended Leafs games with former (late) owners such as Don Giffin and Steve Stavro. Sadly, it appears that #14 won’t take its rightful place among the rafters at Air Canada Centre in the foreseeable future. “I don’t want to be close by,” he stated when referring to the banner-raising ceremonies that will take place on opening night for Leafs legends Hap Day, Red Kelly and Borje Salming. In spite of his stoic animosity towards the Leafs organization, Keon remains loyal to his former NHL team’s fans, accommodating autograph requests and expressing sincere appreciation towards the legion of fans that have adopted him as their idol from their generation. The St. Michael’s College School motto is “Teach Me Goodness, Discipline, and Knowledge.” Dave Keon transformed all these ideals on route to a celebrated NHL career. Hopefully, his knowledge of the high regard in which he is held among Leafs fans will someday pacify his resolve, to the point where he’d comfortable being honoured alongside many Leafs alumni, as he so deserves. Dave Keon politely has declined yet another olive branch extended by the Maple Leafs. Invited to the Air Canada Centre as part of a proposed celebration honouring Captain's Row -- an initiative acknowledging the nine living men who wore the prestigious "C" for the Leafs -- Keon told friends he just wouldn't be comfortable in that environment. In town yesterday for the unveiling of the stunning Captain's Row portrait, featuring Keon, Ted Kennedy, George Armstrong, Darryl Sittler, Rick Vaive, Rob Ramage, Wendel Clark, Doug Gilmour and Mats Sundin, Keon grinned from ear to ear as he rubbed elbows with his illustrious peers. Why, he was asked, are you so much more relaxed at this function than you would be in front of a packed house at the ACC? "Because the Leafs aren't involved in this," Keon said. To be fair, Keon will not completely shut the door on mending fences with the Leafs, an organization that alienated him during the Harold Ballard era of the 1970s. But don't bet your Proline winnings on it happening. "Well I would say never say never but it's highly unlikely," Keon said of a possible reunion with the Toronto organization. "All I've ever said is that it's a business arrangement that didn't work out. So you move on with your life. I was a hockey player, I thought I could still play, so I had to go find a job somewhere else (other than Toronto)." The Ballard era is long gone, so why continue to harbour ill-will toward the current Maple Leafs regime? "They would like to say they are different, but they are all the same," Keon said, reiterating the comments he made to The Toronto Sun during the Captain's Row photo shoot at West End Studio back on June 16. Keon's decision to separate himself from the Toronto organization over the years has spawned public pleas for him to have a change of heart, including web sites dedicated to getting the former Leafs captain to mend fences with the team. "I'm aware of them and I appreciate it," he said. "But this has nothing to do with the people. Nothing at all." So what does it have to do with? Sittler yesterday suggested it might involve Keon's alleged wish that his No. 14 jersey be retired. "We were at a golf tournament recently and he told me what the reasons were," Sittler said. "Whatever the case, David's doing it the way he wants to do it. "On the other hand, there so many fans, so many players that played with and against him that are here now, that would love to see (the Leafs honour him). He was the best two way players, one of the best Leafs ever, won the Cup, Conn Smythe, captain ... forget the other stuff, he deserves to be acknowledged. "Guys like Wendel and I get pats on the back out in the community. Fans are always saying: 'It's great to see you.' Fans would love that for David, too. "But if he doesn't want it, he doesn't want it." If he does have a change of heart, Leafs general manager John Ferguson last night repeated his long-time stance that Keon has an open invitation. It doesn't sound as if Keon is in any hurry to take up the offer. Dave Keon was back in the Maple Leafs dressing room yesterday. Okay, so it was only a replica of Toronto's former digs at Maple Leaf Gardens, part of the set used for the portrait involving eight of the nine living captains to have worn the C on their blue-and-white jerseys. But for a guy whose frosty relationship with the Toronto organization has endured almost three decades dating back to the Harold Ballard era, the mere fact that he flew up from his Florida home to attend the event was a pleasant surprise for many. "Dave really wanted to be part of our (captain's) fraternity," Doug Gilmour said. In accepting the offer to be part of the event, Keon insisted he be paid no more than the fees being handed out to the other participating players. "That's how much he wanted to join us," Gilmour said. Just don't expect Keon to be hanging around the real Leafs dressing room in the near future. The regimes running the Leafs have long since changed since Pal Hal was running the franchise into the ground from his bunker, but Keon's stance has not altered. "Nothing has changed since the day I left 30 years ago," Keon said, referring to the grudge that has caused him to refuse numerous attempts by his former club to honour him. "It's just something that happened." In granting a rare interview with a member of the Toronto media, Keon pointed out to The Toronto Sun that yesterday's proceedings were not in conjunction with the Leaf organization. Asked to look back on his 15 years with the Leafs, Keon shrugged. "There was some good, some bad," he said. "It probably is a wash."
Yet he continues to keep his distance from the Leafs organization. "There have been inquiries if I would be interested," he said. "But I can't live up to other people's expectations. I just live up to mine - at least I try to." An upbeat Keon did spend several minutes talking with Leafs general manager John Ferguson, who joined coach Pat Quinn and assistants Rick Ley and Keith Acton for a quick informal visit prior to the shoot. "Our door is always open for him to be part of the Maple Leafs alumni and the Maple Leaf family," Ferguson said. Painted in some circles as being a sour individual since leaving Toronto, Keon was jovial throughout the day. "I just liked the way this thing was put together," Keon said in explaining why he accepted. "It's an honour (to captain the Leafs)." Keon spent much of the afternoon conversing with Ted Kennedy. "He's a friend," Keon said. "We were members at the same golf course. I haven't seen him in (at least a decade)." Toronto fans haven't seen much of Keon in that time, either. Now we know. Dave Keon is, officially, an icon. If there was doubt about the durability of the hold the former Maple Leaf commands on the hearts of hockey fans, it was erased this week with the release of two television commercials featuring the Mighty Mite from Noranda. The ads for Via Rail were released for maximum impact during the rush to our television prompted by the Winter Olympics. The wonder of the commercials is that no introduction is necessary for a hockey player who dropped out of the public eye 25 years ago. 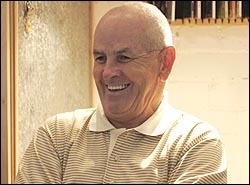 Dave Keon has seen to it that there has been virtually no contact, at least via the media, in a generation. Unfailingly polite, Keon is nonetheless unwilling to share his thoughts. As John Updike wrote of the now-failing Ted Williams, Gods don't return phone calls. Dave Keon didn't or couldn't return mine. A couple of years ago, during one of his rare interviews, I asked Keon if he recognized that his steadfast refusal to discus his 15 years as a Leaf had given him a Garbo-like quality. The less he talked, the more everyone strained to hear him. "I know, it has had that effect," he said. He didn't care. Maybe, now he does. He began cashing in on that effect with the Via add, a delightful plug for the passenger service in which he shuffles through a moving train and notices a host of refinements. The ad casts him as a gentle, greying cherub and oh to have heard the marketing guys explaining that yes, although he last played for the Maple Leafs in 1975, there remains something magical about the man. Perhaps it's because, with the loss of Carl Brewer and Billy Harris, there are fewer and fewer remnants of the over-the-hill Maple Leafs teams that captured four Stanley Cups during the 1960s. Maybe our affection, and I put myself in that group, speaks to the loss of a time where penalty minutes were considered demerits, not bargaining chips for a new contract. The second-leading scorer in Leafs history with 858 points, Keon accrued only 75 penalty minutes in 1,062 games as a Leaf. He played every night against every team's best player, and yet no one, perhaps not before and certainly not since, has proved that the game can be played ruggedly but altogether cleanly. Like an uncle or aunt missing for a generation, we are shocked by the sign of age evident in the spots. In our minds eye, he still wears a brushcut and No. 14. It's nice to see him with teeth. Hockey's Garbo struggles with his golf game in Florida and has coached a kids' hockey team. He has never, at least publicly, stepped inside the Air Canada Centre, an arena built, at least in part, on the residue of his greatness. Nor did he attend the closing of Maple Leaf Gardens or the evening set aside for his inclusion in the Maple Leafs' top 25 players. 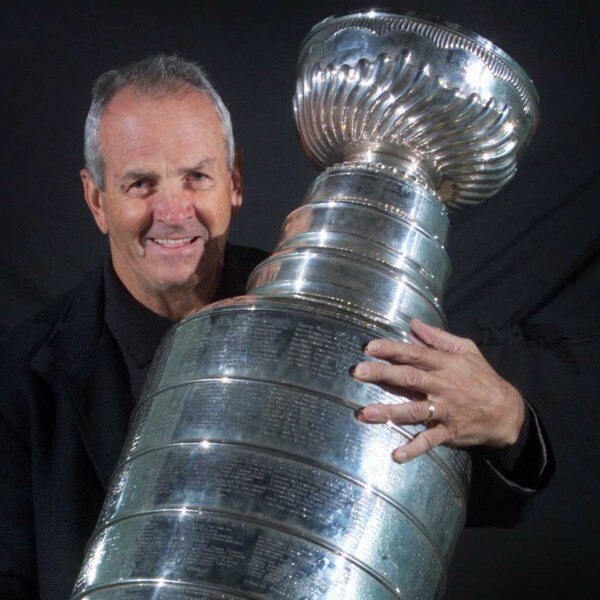 He did make a reunion of the club's 1967 Stanley Cup-winning club and broke his reluctance with the media by participating in the Legends of Hockey video series. The conundrum of Dave Keon has always been that hockey's greatest on-ice gentleman could be obstinate and intractable off the ice. He would not consider a return to the Gardens close after he received a form letter that began "Dear Alumni." He does not believe the Leafs' practice of honouring the numbers of greats while still keeping them in circulation befits the contribution of the men who wore the sweaters. He is right. Still, when viewed within a broader frame, you get the sense that, at 60, Keon is drifting, ever so slowly, back in from the cold. He has entered into the arena of celebrityhood but his allure, even after all these years, is of such a high alloy, periodic exposure will only whet our appetite for more. Status as a legend pays pretty well. He was compelling as a player then as a mystery recluse and now, reincarnated as a television pitchman, he intrigues us still. TORONTO -- Dave Keon, the retired Toronto Maple Leafs hockey captain, is the latest sports star to lend his name to a medical cause. Keon, who recently turned 60 and lives in Florida, doesn't often visit his former hockey stomping grounds, but he made the trip to help launch a new anemia research institute. He said his sister Hannah May Keon became anemic while undergoing drug therapy for lung cancer. "My sister's been fighting cancer for four years," Keon said in an interview before appearing at a news conference today for the Anemia Institute for Research and Education. "So I have some knowledge or association with what happens to people who go through fighting it." FILE--Former Toronto Maple Leafs captain Dave Keon looks over the Stanley Cup with visitors Patrick, 8 and Andrew Flynn, 5 of Detroit during a visit to the Hall of Fame Toronto on Thursday Feb. 24, 2000. Keon is the latest sports celebrity to give support to a medical cause. Keon, who retired in 1982 after playing mostly with the Leafs, travelled from his Florida home to Toronto to help launch a new anemia research institute. Anemia is a blood disorder affecting thousands of Canadians. It can range from mild (needing perhaps just a change in diet and iron supplementation) to severe (possibly requiring drug and other therapy). Severe tiredness, headaches and loss of concentration are classic symptoms. Anemia is the result of a shortage of red blood cells, possibly due to cancer, AIDS, kidney disease or loss of blood. These cells contain the protein hemoglobin, which carries oxygen from the lungs to tissues and cells and provides fuel for the body. Keon said his sister, who lives in Toronto, became anemic while undergoing chemotherapy. Although she still has cancer "she has a pretty normal life" after receiving a blood transfusion to fight anemia. Keon said he received a call from the institute's president, Durhane Wong-Rieger, who asked him to help give the Toronto-based organization a profile. Keon said he's purely a volunteer. Wong-Rieger, on the other hand, said she's one of two paid officials with the institute, which receives most of its funding from companies that make anemia drugs and other products associated with the condition. What is it? A deficiency of red blood cells. These cells contain hemoglobin, a protein that carries oxygen from the lungs to tissues and cells. Dangers: Anemia can result in organs and tissues not getting enough oxygen to do their work, leaving people feeling very tired, weak, short of breath and dizzy. Over the long term it can affect heart, lung, kidney and brain function. Causes: Include poor diet; poor food absorption; a shortage of iron, vitamin B12 or folic acid; blood loss such as that during menstruation. Some types of anemia are chronic, caused by cancer and cancer treatment, HIV and AIDS treatment, inherited blood disorders, kidney failure, and surgery. Diagnosis: Blood test (see your doctor). Treatment: Mild anemia can be helped with iron, vitamin or folic acid supplementation. Also a change in diet -- such as eating iron-rich food like spinach, liver and eggs. Severe anemia may required a blood transfusion or medication to help rebuild red blood cells. Source: Anemia Institute for Research and Education. Now 60, Keon spent 18 seasons with the Leafs and led them to four Stanley Cups. He worked in commercial real estate after moving to Florida and is now retired, but he helps coach a boys' hockey team. Keon admits he's no medical expert, but through his sister he knows how anemia can zap energy. He said the emphasis too often is on diseases, such as cancer, and not side-effects such as anemia. "The focus all the time is treating the cancer, and (anemia) is an effect that comes after the body gets beaten up and in a vulnerable state," said Keon. "People should make inquiries (with their doctors) about whether something can be done to help them feel better." Keon joins other sports stars including former teammate Eddie Shack, who had prostate cancer, and retired superstar Wayne Gretzky, who was recruited by an arthritis manufacturer, in raising the profile of a health condition. Wong-Rieger, a psychologist who has worked for years on blood issues, says she sees nothing wrong with using celebrities to promote causes in the fight for research dollars. "There's a huge research interest," she said in an interview. "We want to concentrate the institute's efforts in the area of research. We hope to go after foundation and government support as well." Wong-Rieger, who recently left her position as psychology professor at the University of Windsor, Ont., is known for her work with the Canadian Hemophilia Society, helping people affected by the tainted blood scandal get compensation. She also helped design Canadian Blood Services but left the agency because she disagreed with how it handled issues such as increasing blood safety in hospitals. Volunteers on the anemia institute's board include experts in hematology, oncology and surgery. Many people who have been writing about hockey and the Toronto Maple Leafs feel that Dave Keon is the greatest player ever to wear the Blue and White. He was a little bit of everything. Check that--he was a lot of everything. He could score goals; he was a superb passer; he was one of the best checkers of his day; he killed penalties and played the power play; he performed in the playoffs; he led as captain; he made it into the Hockey Hall of Fame. Keon was a graduate of St. Mike's in Toronto in 1960, the most successful high school in hockey history. "That was one of the best times of my life," Keon recalled with fondness. "I wouldn't trade those years for anything. I was growing up, learning to play, living away from home, going to school. A combination of so many things." Those were the glory years of the team, and today St. Mike's is now experiencing a renaissance. "When I'm up in Toronto, I'll watch. I know they eliminated North Bay. They went through some tough times with some kids in the program, but it seems they've turned it around. Joe Sgro sewing on the 'C'. The St. Mike's dressing room couldn't have been more different than the Leafs' room at Maple Leaf Gardens. "They were two different places because there were two different purposes," Keon noted. "At St. Mike's, we were learning the game. You're trying to improve your skills. In the other case, it's a business. Leafs' coach and GM Punch Imlach made it his business to have a certain kind of dressing room, and although some players loved Punch and others hated him, Keon isn't sure what the fuss is all about. "I got along fairly well with him. I guess you're aware that not everyone does, but I think it's the same with every team. Some players get along with the coach--others don't. Whatever the case, Imlach won Stanley Cups, and that's the point of the game, at least at the NHL level. In his Leafs career, Keon scored 20 goals eleven times. He played in eight All-Star Games and captained the team for seven seasons. Foster Hewitt used to call him "Mister Perpetual Motion" because he never stopped skating, and his was acknowledged to be the best backhand in the game. "Most kids today slap the puck," he offered. "The backhand takes time to learn. It's not something you do naturally. But it is an effective shot. Keon left the Leafs to go to the WHA in 1975, came back to the NHL with Hartford in 1979, and was bestowed upon him a great honour on his first trip back to the Gardens with another team. None other than Conn Smythe searched him out in the visitors' dressing room, the first time the Leafs' owner and creator ever entered the opponents' sanctuary. "He came down to see me," Keon remembers. "Don Blackburn was the coach and he said, 'there's someone to see you.' This was before the game and I asked him to tell the person to wait until after. Don said that this was someone you'd want to see now. He came in and said hello, and then wanted to know where "the other guy" was, meaning, of course, Gordie [Howe]. After retiring in 1982, Keon moved to Florida to work in the real estate business. He last laced on his skates a couple of years ago when he was coaching a Squirt team in Florida. Other than that, he's been all business. He attended the Hockey Hall of Fame Induction in 2000, and fans can only hope he becomes involved in the game again. One of the greatest Leafs to play and one of the most popular players as well. A list of 14 esteemed hockey experts got together over the summer of 2001 and came up with a list of the top 25 Leafs players of all time. The committee of experts included: Milt Dunnell, George Gross, Scott Morrison, John Iaboni, Frank Orr and Brian McFarlane, Joe Bowen, Howie Meeker, Harry Neale, Mark Askin, Jim Gregory, Dan Diamond, Tommy Smythe and Frank Selke Jr.
1967 – The Toronto Maple Leafs defeat the Montreal Canadiens in Game 6 of the Stanley Cup Finals, 3-1. 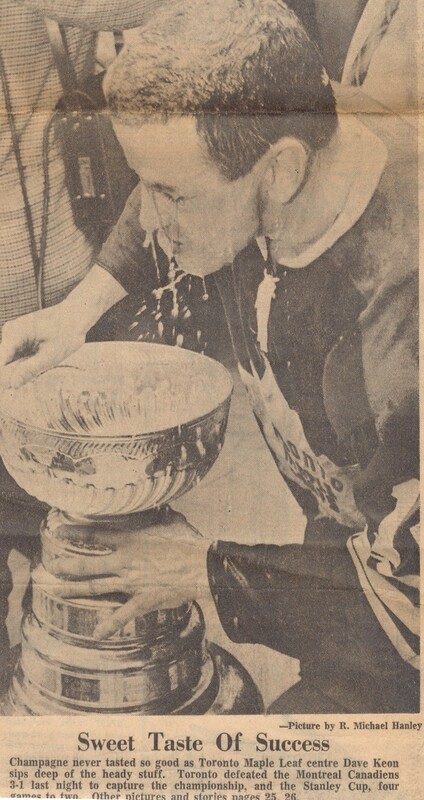 Dave Keon scores the game-winning goal and George Armstrong adds an empty-netter to give Toronto its fourth Cup of the 1960s, as well as the Maple Leafs’ most recent championship.